It's a huge honor to get this interview with someone who followed a similar road to myself, getting established in Pittsburgh and then heading to Boston to follow their dreams. 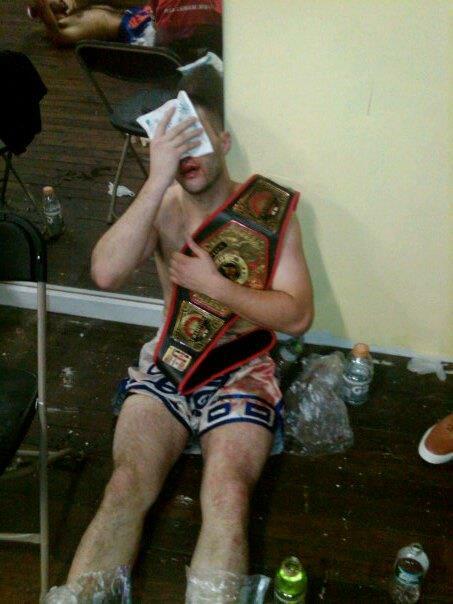 Detonate is not only a world class touring dj, but a champion in muay thai. Watch out, and Wise Up! The interview coincides with the digital release of his project "Free Crack Giveaway" on the 5th anniversary of its release. This mix is a serious achievement. It's 76 original tracks (mashups and remixes) coupled with some phenomenal turntable wizardry - juggles and cuts - and they're all tasteful. In addition there are unreleased/exclusive verses from some SERIOUS hip hop heavy hitters - early Wiz Khalifa, Ron Noodles, Emilio Rojas, and recent Rostrum signee Boaz. Support this project and give it a spin on datpiff or a download below - and peep the exclusive interview as well! DOWNLOAD THE ENTIRE PROJECT FREE HERE! Im actually from Boston. I was in PGH for school and ended up staying there to be in ID Labs and Blackberry Studios and we were hold down the residency at Club Metropolis. My concept for performances is to keep the crowd engaged the whole time. I like to use turntablism where it fits, without being a nerd. Visuals are awesome as long as they don't overshadow the music. Thats why I dig playing for GrooveBoston so much, cuz they have a whole team dedicated to the visuals while I just focus on the performance. Visuals totally affect my composition. I see all the tracks in colors, so when I'm mixing or writing music, Im thinking "what does this track look like." I think new emerging genres like moombahton are really important, but there is sometimes a gap where the common public doesn't really know about it, and the cutting edge crowd only wants to hear it if no one else has heard it before, and it can be a challenge to rock the crowd like that. I try to toe the line between setting the trend and satisfying the style of music that the crowd expects. As far as trap goes, thats not really new to me. I have been spinning that since like 2003. Its one of my favorite things to mix with dubstep. If I could collaborate with anyone from history it would be Jimi Hendrix and Biggie smalls at the same time. I know that's cheating, But those are my guys. Both so ahead of there time and still untouchable. We would work on a biggie EP with original guitar work by hendrix all sequenced and sampled by me into a hip hop/moombah/dubstep project. Contemporary artist? mmm thats tough cuz there are so many hot sounds out right now. I'm really into the UK scene right now. I'd love to do a track with Kano it think. Or Dizzee Rascal. In the states I'd love to produce for Freddie Gibbs or E40. What's in my gig bag? an air horn. and maaaaaaaaad adaptors.